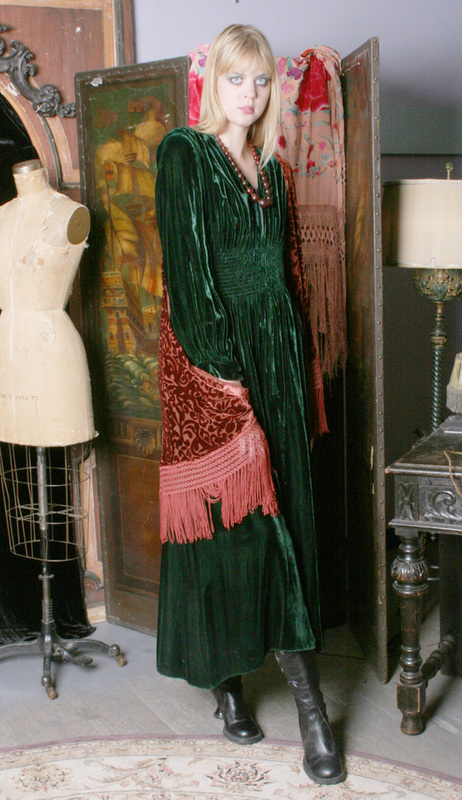 Vintage Green Velvet Dress — This emerald green silk velvet dress, circa early 1940s has everything... vibrant color, luscious feel, zipper, cool pocket and shirring at the waist. Will fit size 6 - small 10. Also shown Rust Velvet Shawl.